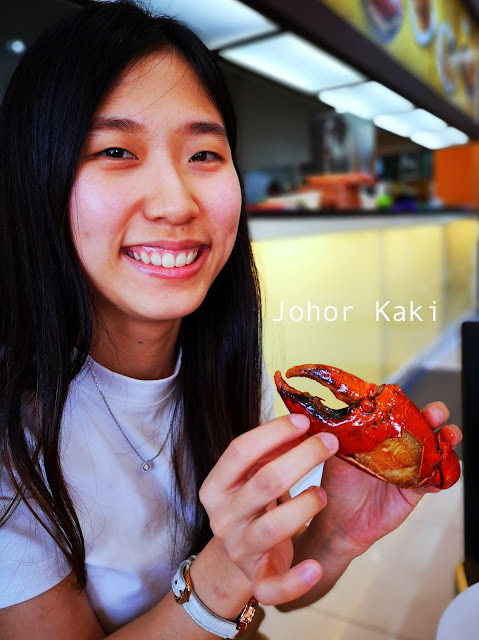 When I was living in Kuala Lumpur, one of my memorable dining experiences was their specialist crab restaurants - they do crabs in many different flavours just like those roti prata shops that do prata in "more pattern than badminton" as we say in Singlish. 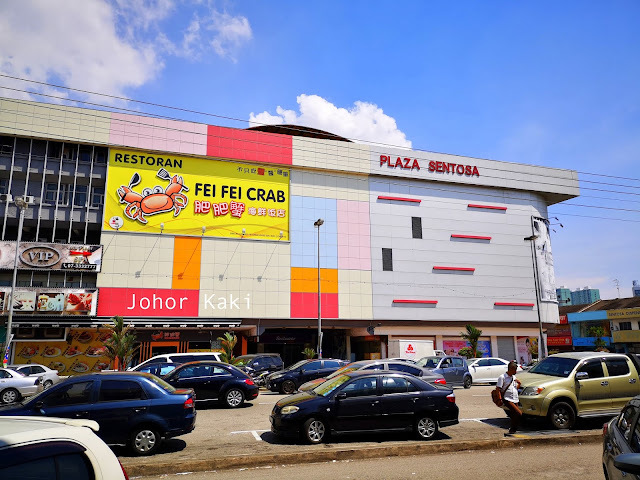 Now one of them, Fei Fei Crab have come to Johor Bahru (for one year already actually). Fei Fei Crab have 5 outlets - 1 in KL, 1 in Petaling Jaya, 1 in Malacca, and 2 in Johor Bahru. 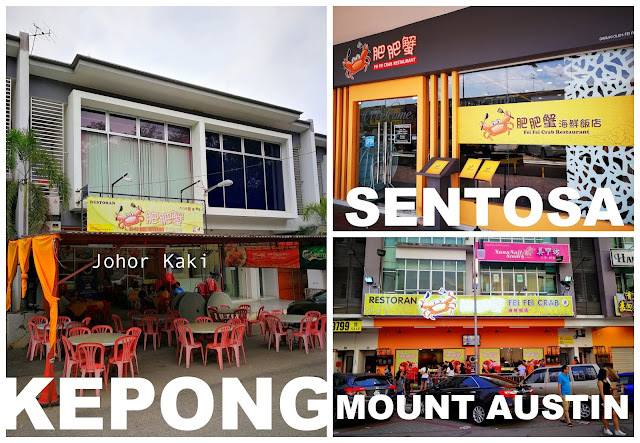 Over the past one year, I've tried Fei Fei Crab's parent shop in Kepong KL (once), Mount Austin JB branch (twice) and Plaza Sentosa JB (once). Fei Fei Crab also have 5 other crab specialist restaurants under the brands Crab Generation and Crab B. Founder Tan Nam Kun 陈南君 worked part time at zi char stalls when he was still in school. After graduation in 2008, 20 year old 陈南君 launched Fei Fei Crab street side stall with RM50,000 borrowed from his family. The idea seemed simple - source for a good supply of big live crabs. 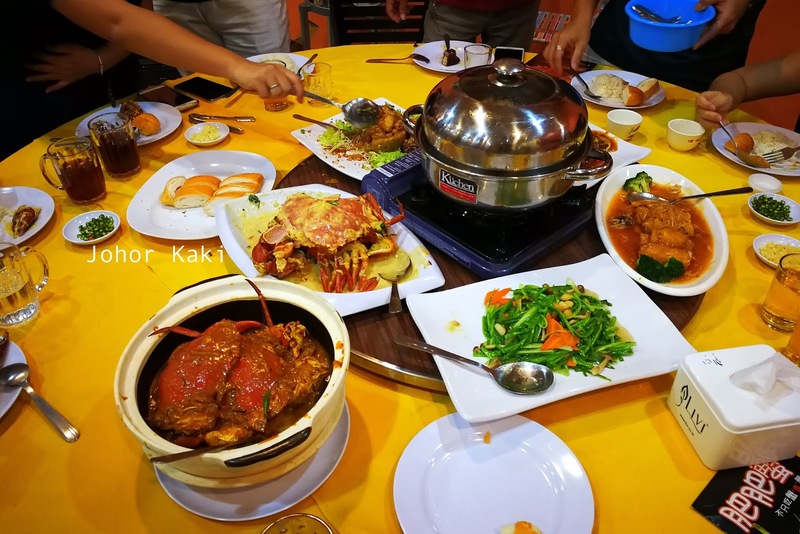 The idea of good big crabs done in many patterns caught on and Fei Fei Crab (and sister brands) quickly expanded to 10 outlets in KL, Selangor, Negri Sembilan, Johor and Penang. 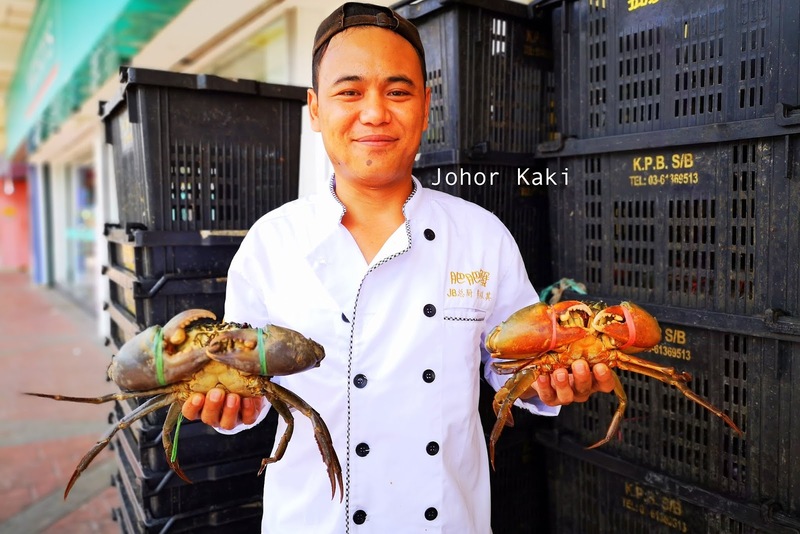 Kam Heong Butter was the flavour that catapulted Fei Fei Crab to the top band of crab specialist restaurants in Kuala Lumpur. It is one of my favourites too. 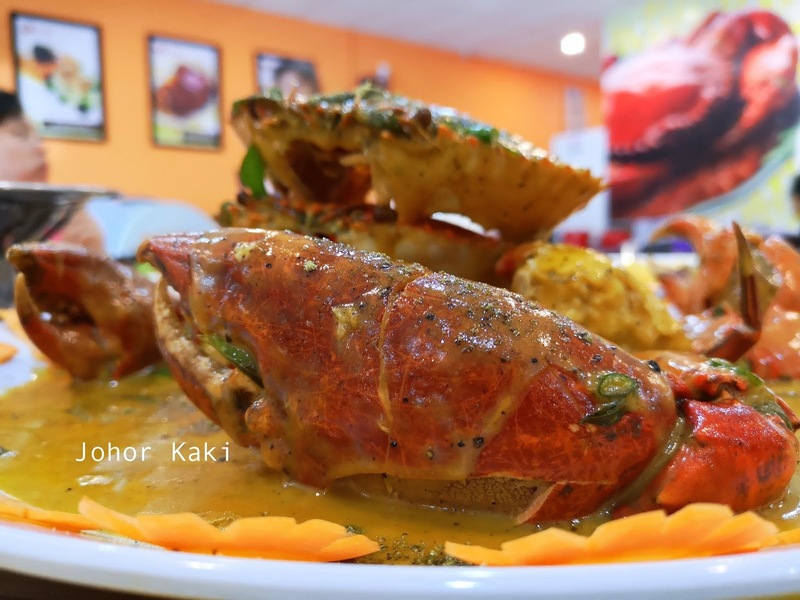 I like it that the crab is cooked by boiling and then simmered in the Kam Heong Butter sauce. 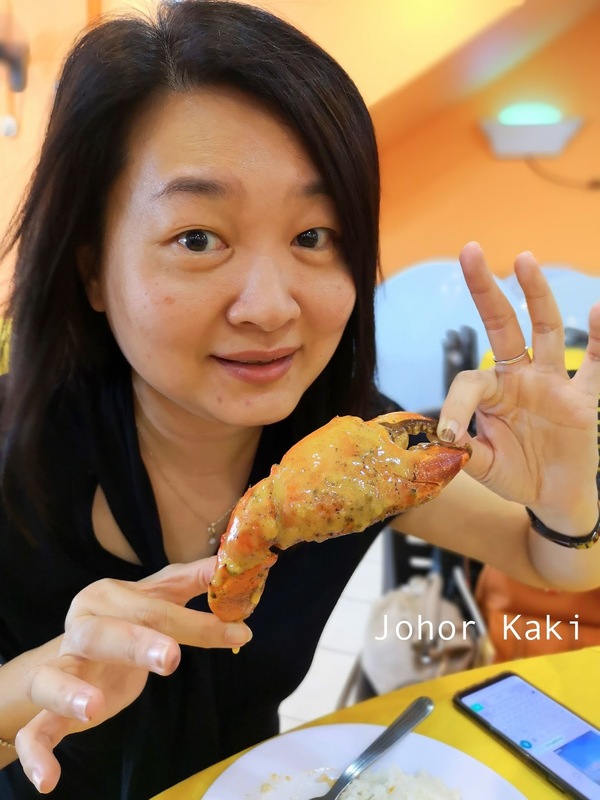 This way, the crab meat stays juicy, thus retaining most of its natural sweetness. 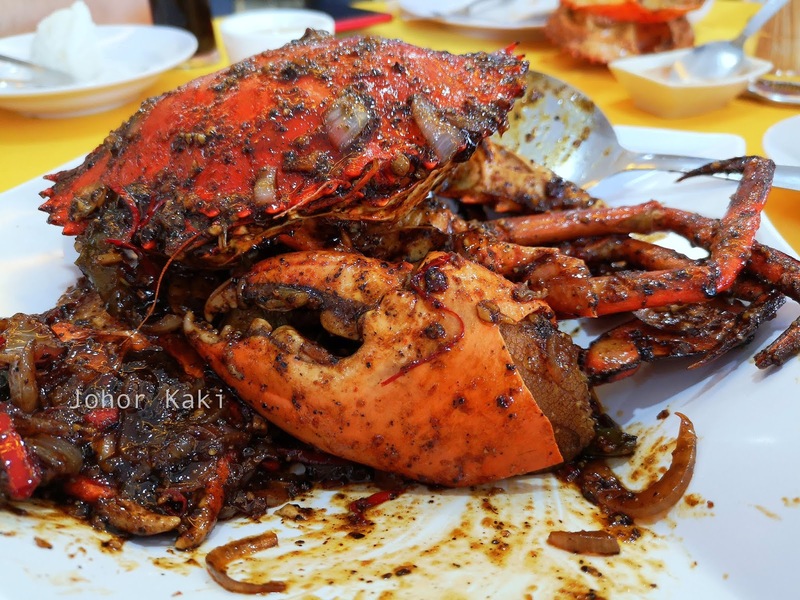 The Kam Heong Butter sauce is mildly savoury sweet spicy held together with butteriness which complements the crab meat's natural sweetness. Kam Heong Butter sauce is Fei Fei Crab's claim to fame and is also my personal favourite, but it is not Fei Fei's top seller today - that honour goes to Creamy Salted Egg sauce. 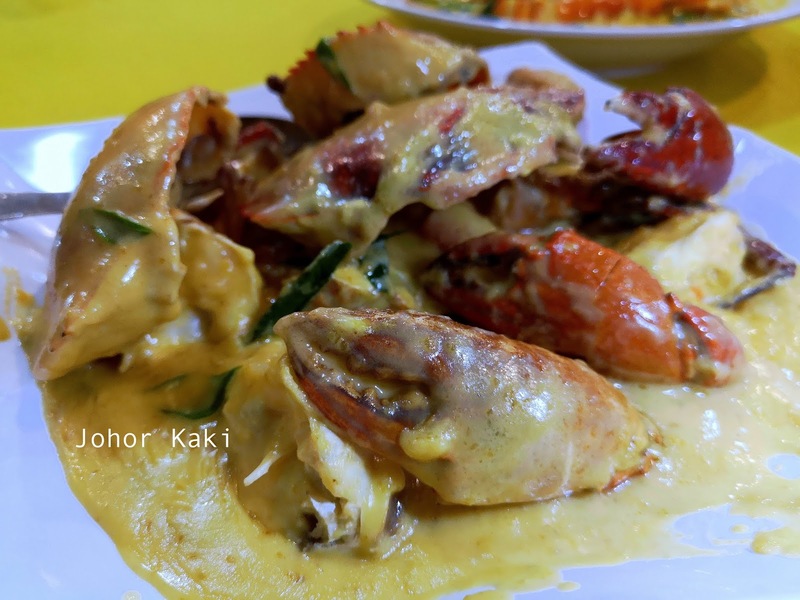 Fei Fei Crab Creamy Salted Egg sauce is sweet savoury leaning slightly more on the sweet side. If you like sweet, this creamy salted egg yolk sauce is for you. Reigning number three in popularity, after #1 Creamy Salted Egg sauce and #2 Kam Heong Butter is this Honey Lemon sauce crab. 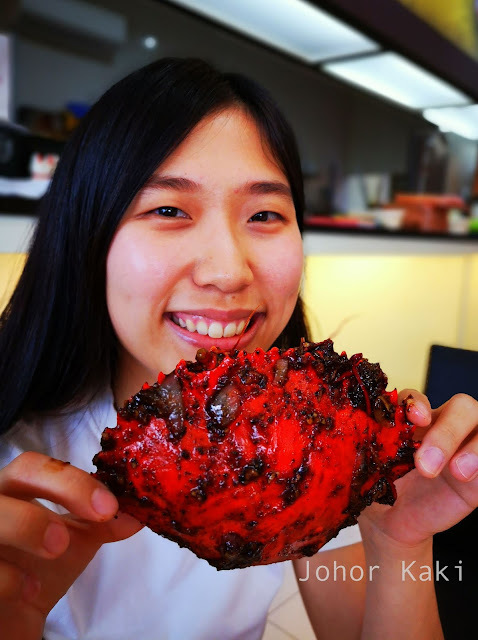 The crab was cooked by deep frying and then coated with sweet Honey Lemon sauce. 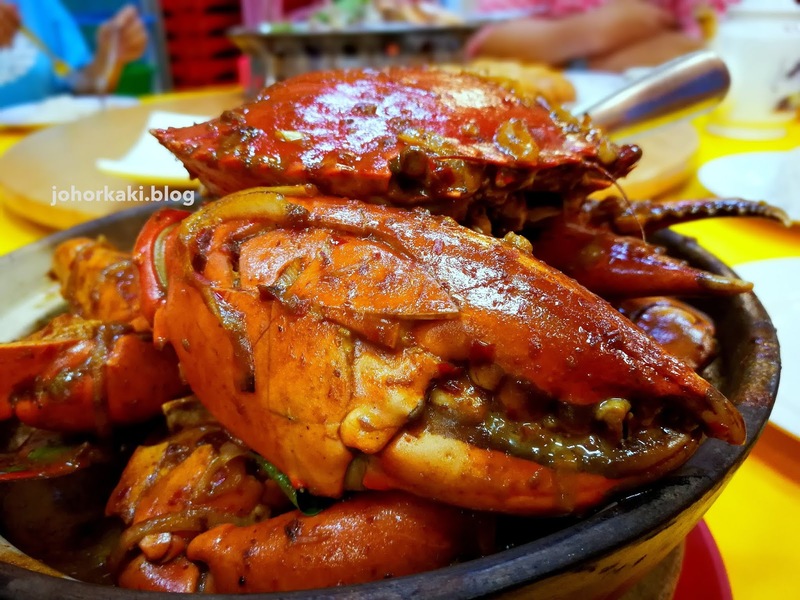 The tacky sweet sauce was like candy with lemon fragrance which complemented the crab's natural sweetness well. 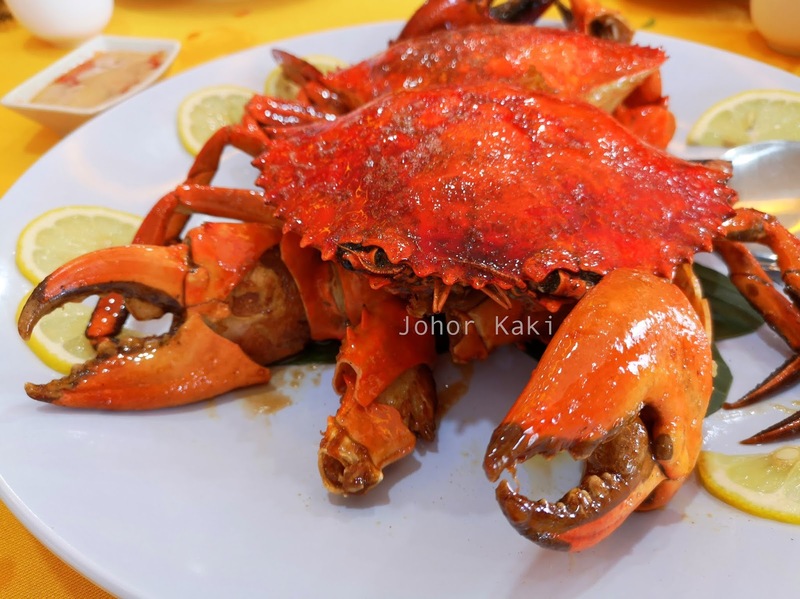 However, cooking the crab by deep frying contracted the meat a little and took away some of its juices. My second favourite so far is the unique Wasabi Butter sauce - never came across this anywhere else. I like the mild savoury sweetness with gentle wasabi heat and aroma. 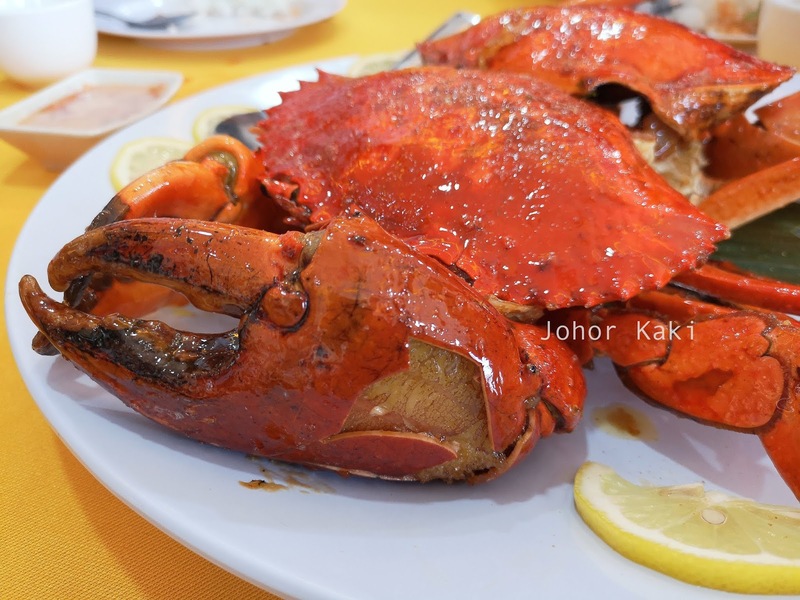 The creamy butteriness also went well with the juicy sweetness of the crab meat. Order as big the crabs as possible as all the crab's natural sweetness are in the meat. There isn't much meat in small crabs. At Fei Fei Crab's JB Plaza Sentosa branch, Marmite Black Pepper sauce is the top seller as Singaporeans like this flavour. The Marmite Black Pepper sauce was mildly savoury with a gentle peppery spicy aftertaste. 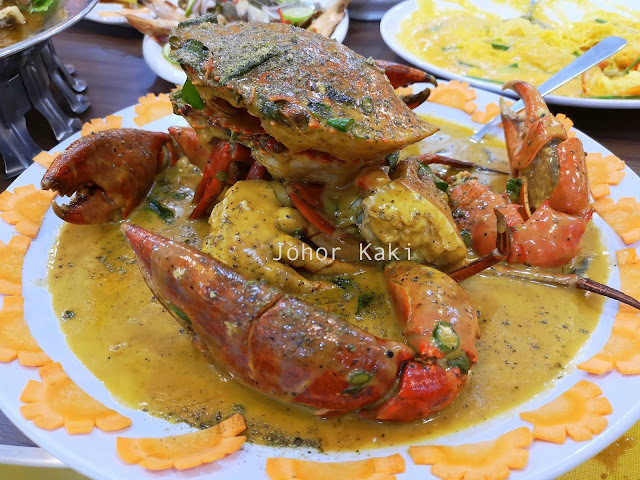 The savoury peppery sauce blended well with the sweetness from the crab meat. 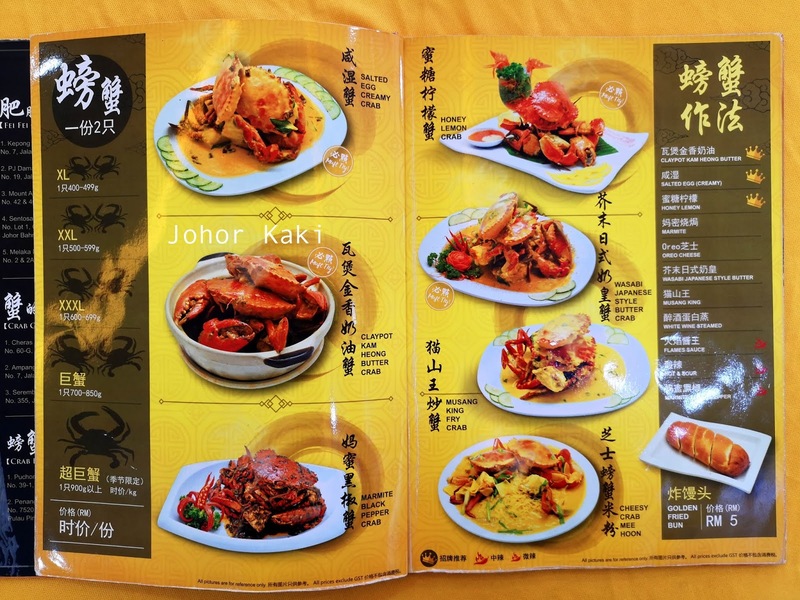 Fei Fei Crab offers other seafood / zi char type dishes besides their signature crabs. I normally go for their prime rib, vegetable and tofu dishes. 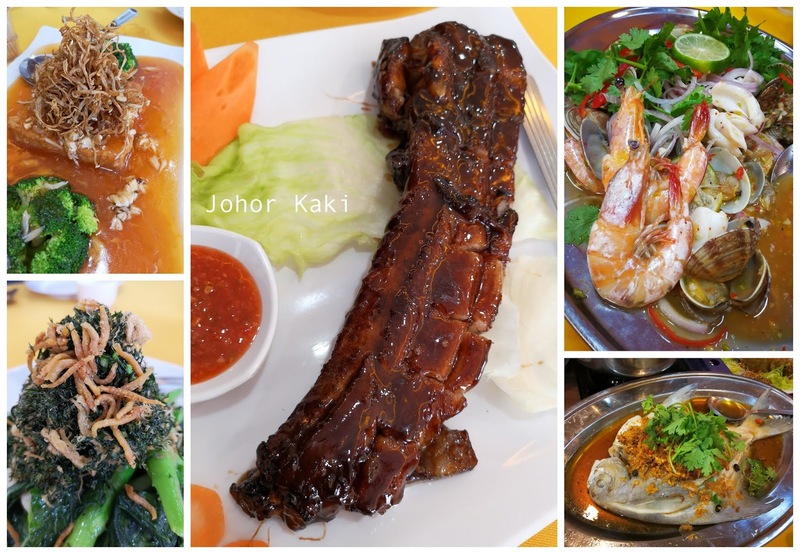 Dubbed the 万里长骨 Ten Thousand Mile Rib, the pork rib was marinated with robust savoury sweet sauce and grilled till the meat was fall off the bone tender. 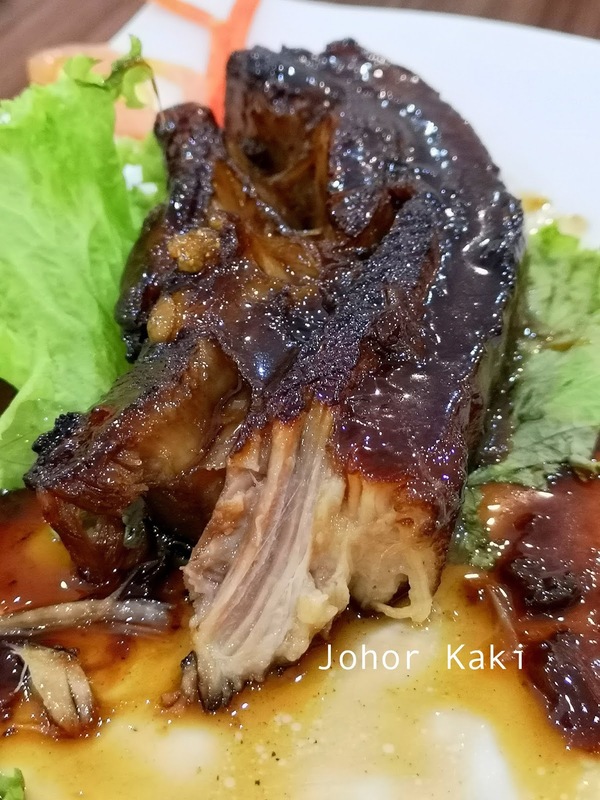 The caramelised savoury sweet sauce gave the meat a gummy mouth feel. 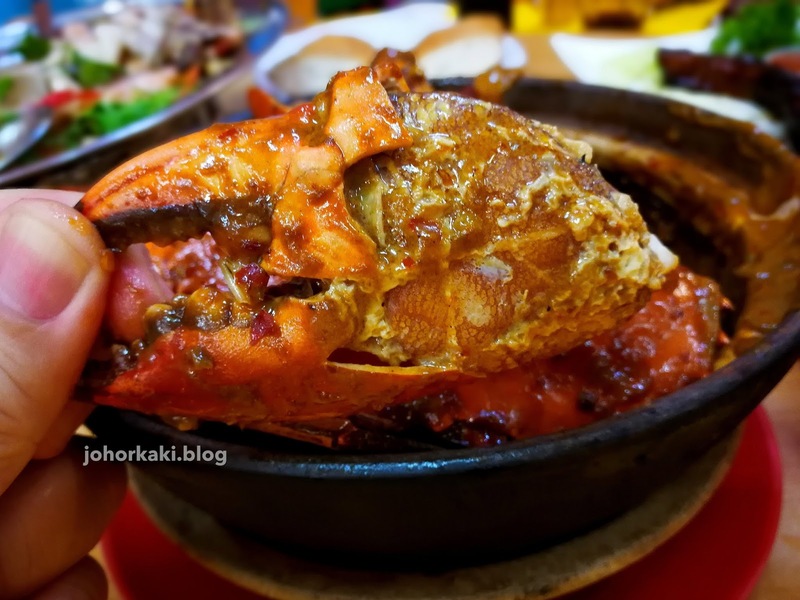 The fat from the prime rib provided juice and natural sweetness to Fei Fei Crab's signature rib. Choose your size, choose your sauce - it's that simple. Hi, any idea if they do food order delivery to hotel in JB? Hi Tyng, I don't know. 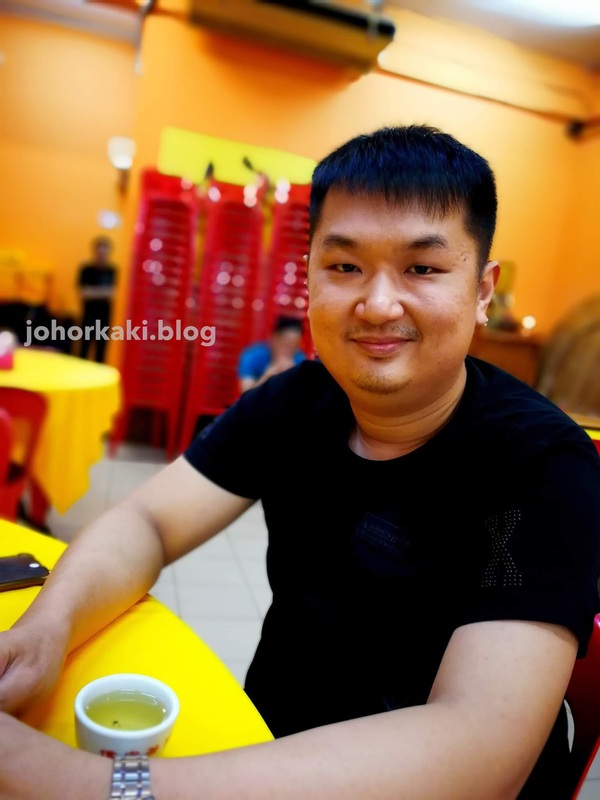 Can check with Shaun Tel: +6019 - 7594246.